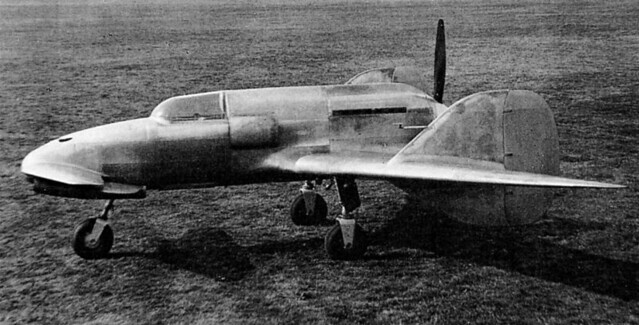 The Italians were the first of the participants in World War II to build a canard combat aircraft, the SAI-Ambrosini "S.S.4". 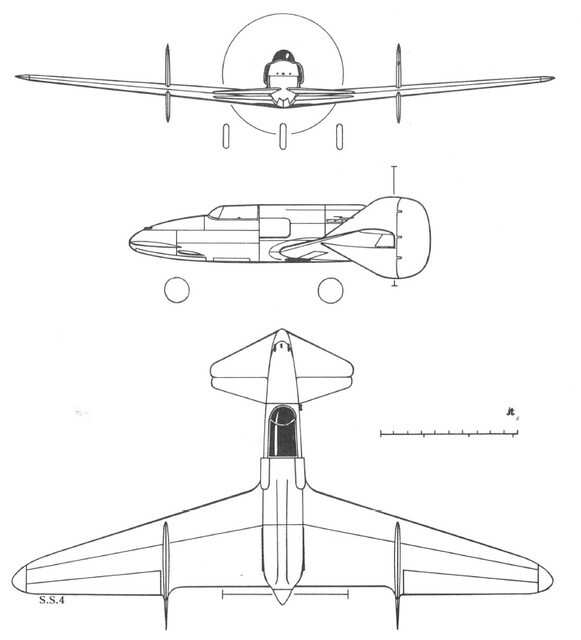 Italian aircraft engineer Sergio Steffanutti had become interested in canard aircraft in the 1930s, developing a lightweight flight demonstrator designated the "S.S.2" that performed its initial flight in 1935. 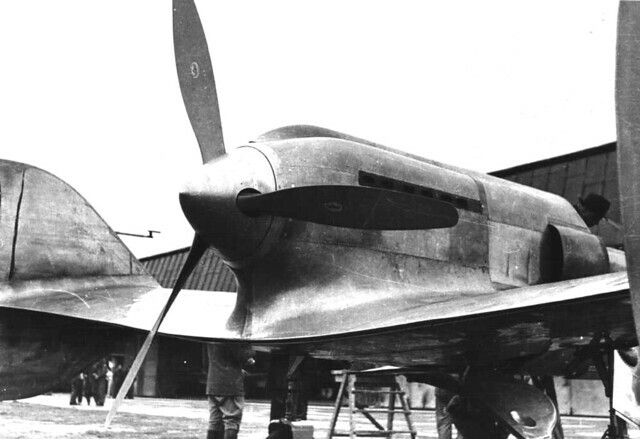 Two S.S.2 prototypes were built by Stabilimento Costruzioni Aeronautiche (SCA) at Guidonia, with the second later converted into a two-seater. 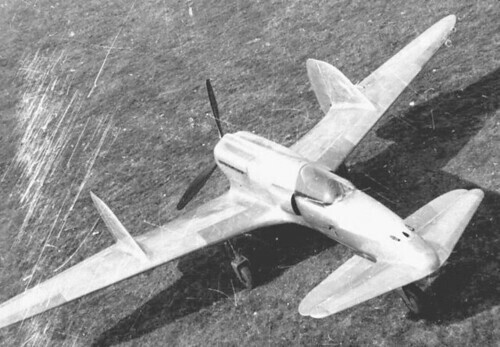 The S.S.2 seemed promising to the Regia Aeronautica (Italian Air Force), and so Steffanutti worked with manufacturing firm Societa Aeronautica Italia Ing Ambrosini to scale up the design into a combat fighter, which Steffanutti labeled the "S.S.4". 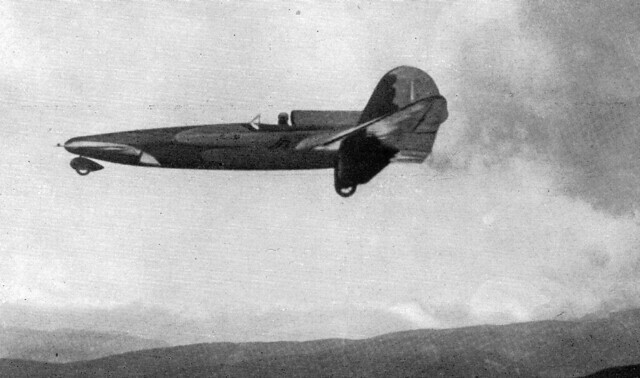 A single prototype was built, performing its initial flight with test pilot Ambrogio Colombo at the controls on 7 March 1939, months before the outbreak of war. The S.S.4 was a neat, all-metal aircraft with a retro-future science-fiction appearance, featuring a foreplane on the nose, a rear low-mounted wing with a swept leading edge, a tailfin in the middle of each wing, and retractable tricycle landing gear. The machine was powered by an Isotta Fraschini Asso IX RC.40 liquid-cooled vee-12 engine with 720 kW (960 HP), mounted behind the cockpit and driving a three-bladed variable-pitch pusher propeller. There was an engine inlet scoop on either side of the fuselage, just behind the cockpit. Sources differ on the armament configuration -- some sources claim two 20 millimeter cannon and a single 30 millimeter cannon, but that was unusually heavy armament for an Italian fighter of the time and a more plausible fit was two 12.7 millimeter Breda machine guns and a single 20 millimeter cannon, all fitted in the nose. Pictures show the Breda machine guns fitted, but the port for the cannon left empty. The program came to an abrupt end the next day, 8 March, when Colombo took the machine up for a second flight. An aileron malfunctioned and Colombo tried to set the machine down in available open space; he ran into a tree and was killed, with the aircraft totaled. There was some consideration of building a second prototype, but it didn't happen. The initial flight had not demonstrated any particular superiority to fighter aircraft of conventional configuration, and there had been increasing misgivings about the project anyway. How was the pilot to bail out, for example, without getting chopped up by the rear-mounted propeller? There were also concerns about engine cooling, rearward view, and the worry that the engine would crush the pilot if the aircraft ran into something on the ground. Steffanutti went on to develop lightweight fighter aircraft of conventional configuration. A very elegant solution to the engineering challenges of flight. I like Italian aircraft designs of the 20s and 30s, especially the distinctive three-engined machines. The layout of these Ambrosinis - canard-pusher - is both futuristic and enduring, although not original. It was first employed by Alberto Santos-Dumont with his 14-bis, which took to the air in 1906, building on pioneering work by Australian Lawrence Hargrave in the 1890s. More recently, it was used by innovative designer Burt Rutan's Model 61 Long-EZ, and is remarkably similar to the layout of several current fighters (eg Eurofighter Typhoon). It's rather simple, Cap'n: when you study something for years, you begin to come across unusual and even incredible things. Another delightful "what...designs like this were real?" moment from lord_k! Where do you find these wonderful toys? The German Do335 Pfeil had an ejectable rear propellor, as I recall, but I don't know about any of the other WWII pushers - the Kyushu Shinden, XP-55 Ascender, Miles Libellula et al. The Saab 21 had an early fom of ejector seat, I believe, but I agree with Dan that a jettisonable propellor/engine sounds much more Dieselpunk! Great article again, though, and good to see the Italian design getting some recognition! As always, Lord K, Thanks!